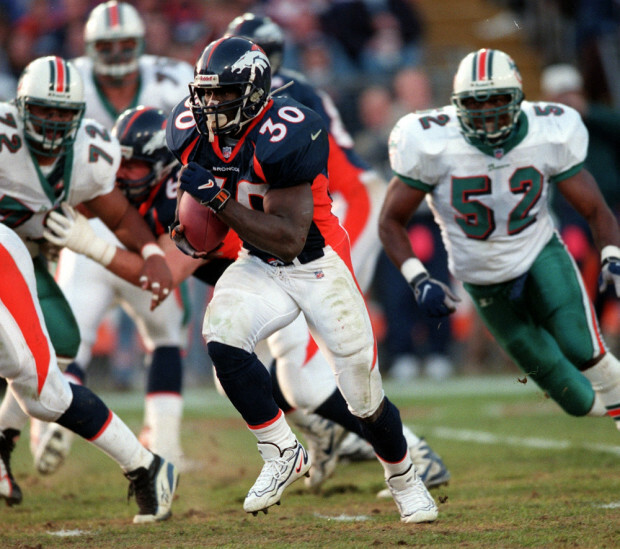 Terrell Davis is a former American football running back who played in the National Football League (NFL). He played for Denver Broncos from 1995 to 2001. After his retirement from professional football, he worked as a correspondent and studio host for NFL Total Access. As a studio host, Terrell Lamar Davis reportedly earns around $75,637 as his yearly salary from NFL Network. Further, Terrell Lamar Davis has an estimated net worth of over $10 million. Terrell Lamar Davis was born on October 28, 1972, in San Diego, California to parents, Joe Davis and Kateree Davis. As per his nationality, he is American and belongs to Afro-American ethnic group. Further, his star sign is Scorpio. He grew up along with his sibling, Reggie Webb Davis. Terrell Lamar Davis attended Lincoln High School where he played for his high school football team. After completing high school, Terrell Lamar Davis enrolled at the University of Georgia and played for the Georgia Bulldogs. The Denver Broncos selected Davis in the 6th Round of the 1995 NFL Draft. Davis initially started 14 games during the 1995 season, carrying the ball 237 times, averaging 4.7 yards per run, and scoring eight touchdowns. He finished his season with a total of 1,117 rushing yards, becoming the lowest drafted player to ever gain over 1,000 yards rushing in his rookie season. 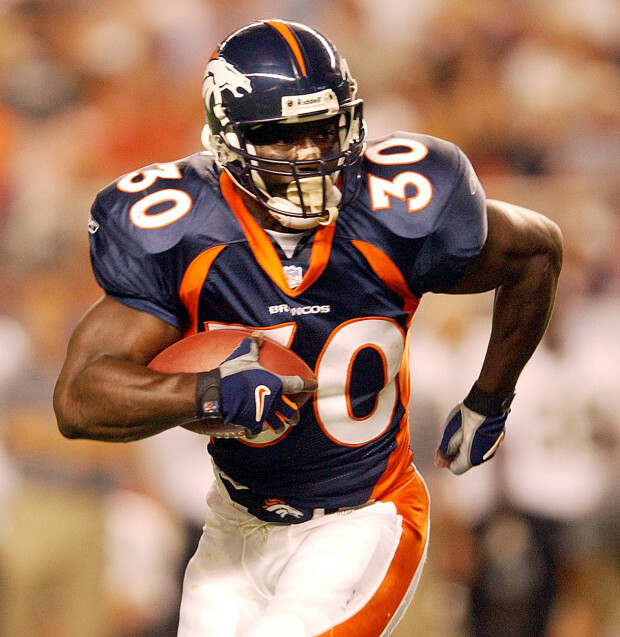 In 1996, Davis signed a five-year, $6.8 million contract with the Broncos. In 1997, Davis recorded 1,750 yards and a league-leading 15 rushing touchdowns. In 1998, Davis rushed for 2,008 yards and this performance earned him league MVP honors, his third straight AFC rushing title, his first NFL rushing title, and his second time being named NFL Offensive Player of the Year by the Associated Press. Super Bowl XXXIII was the last postseason game in which Davis would play and he recorded 1,140 yards and 12 touchdowns, along with 19 receptions for 131 yards. After the 1998 season, Davis suffered injuries which kept him out for the remainder of the year. In the 2000 season, Davis was sidelined for all but five games because of an injury in his lower leg. In next season, he only played in eight games because of arthroscopic surgery on both knees. Davis officially retired during the preseason of 2002. He finished his seven NFL seasons with 7,607 rushing yards, 169 receptions for 1,280 yards, and 65 touchdowns. On August 4, 2017, he was inducted into the Pro Football Hall of Fame. After his retirement, Davis worked for NFL Network as a correspondent and studio host for NFL Total Access and also served as a color commentator for some NFL Europe games covered by NFL Network. Terrell Davis married American actress, model, and beauty queen, Tamiko Nash. The couple exchanged their wedding vows on September 4, 2010. They have 3 children from the marriage, two sons named Jackson and Myles and a daughter named Dylan. Nash filed for divorce from her husband in 2016 but they haven't split yet. There are no rumors regarding any relationships of Davis prior to the marriage. As of 2018, Terrell Lamar Davis has an estimated net worth of over $10 million. Further, he has an average salary of $75,637 annually, working as a studio host for NFL Network's show NFL Total Access. Terrell Lamar Davis so far has made earnings of $10 million from his entire NFL career. Kept aside Terrell Lamar Davis financial earnings, his personal assets include a Home in Temecula, California. Other than being a former NFL player, Terrell Lamar Davis is pretty famous in social media. He has 96.4k Instagram followers and 126k Twitter followers. Terrell Lamar Davis was not only a world-class athlete but also has a very attractive individual. The former NFL star is 5 feet 11 inches in height and weighs around 95 kg. Football Running Back NFL Network Denver Broncos National Football League (NFL) University of Georgia NFL Total Access.